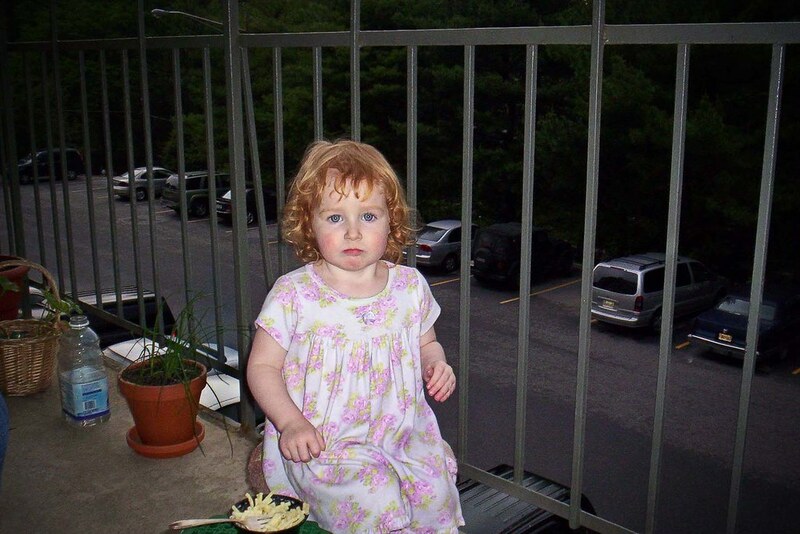 This piece of confection is my youngest grandchild Haley, on my balcony with her "mac and cheese." She stayed with me for several hours while her parents were at a wedding. It was a real treat.